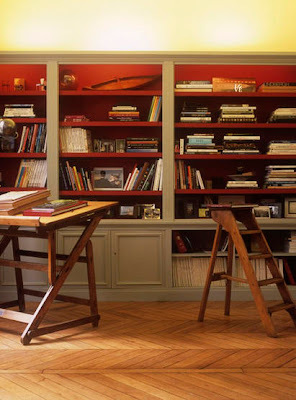 generally red is not a color that i gravitate to when decorating my own home but these images are an exception! that first picture w/ the adorable mother and daughter has me smitten and i cannot get enough of those insanely beautiful chevron floors in that reading room! 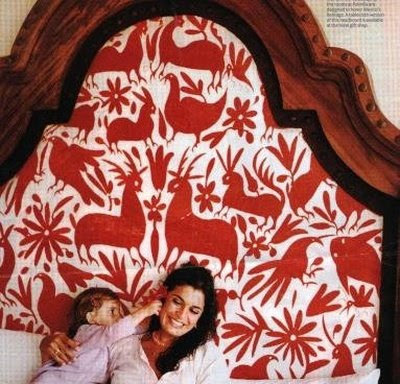 I'm coveting that headboard! Fabulous! I also am in LOVE with those chevron floors. I die. i like the orangie/red colors. Popping out at you unexpectdly. 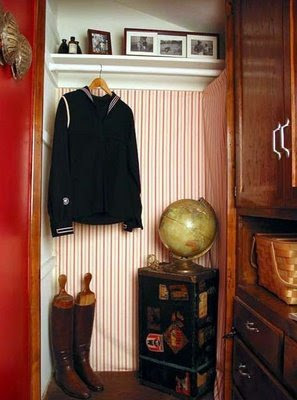 It really works well with my eclectic style. I love falling in love with colors! I'm a red lover. I always think that I want to change it up and then I seem to gravitate back towards it.